Above: Federal Hill continues to debate the German-style open-air beer garden, Crossbar, planned at 12 – 18 E. Cross St.
Bar-weary neighbors opposing Crossbar – an open-air, beer-garden-style bar proposed for Federal Hill – thought they won a key victory on February 25 when the bar’s zoning appeal failed to get enough votes to pass. Crossbar only mustered three supporters on the Board of Municipal Zoning Appeals – a 4-1 vote was needed. The denial seemed to put the kibosh on a controversial project that the city Liquor Board had green-lighted only the week before. But with the zoning board’s decision still not put in writing, opponents now fear that their win is being undermined by high-level pressure being put on BMZA executive director David C. Tanner. Fueling their concern is a series of emails found in the public file at the zoning board, including one from Crossbar representative Peter Auchincloss to two powerful City Hall officials – Councilman William H. Cole IV and the Mayor’s Deputy Chief for Economic Development, Kaliope Parthemos. “Per our conversation, I would appreciate you or Kali having a conversation with Tanner as to BMZA decision to be written per the below emails,” Auchincloss wrote on February 26 at 12:11 p.m., the day after the BMZA decision on the project, proposed for 12-18 East Cross Street. What happened next is unclear from the emails in the file. Page 1 appears to be missing. The other documents offer an incomplete but tantalizing glimpse into the high-level pressure brought to bear when big-stakes projects come before public bodies in Baltimore. Earlier emails exchanged that morning, between Auchincloss and Crossbar attorney Joseph R. Woolman III, make clear what they wanted the councilman and the mayoral deputy to discuss with Tanner – limiting the scope of the five-member board’s denial to one issue, a conditional use they had sought for outdoor seating. “This should provide Tanner the latitude to craft the order to reflect the above,” Woolman wrote. “The BMZA should not have allowed this to become a ‘re-do’ of last week’s Liquor Board hearing,” he also says. The men (both of whom were reached by phone by The Brew yesterday and declined to talk with us) proceed to divide up the tasks. “I will speak with the Administration re the pending decision (and you will be speaking with Tanner) today,” Auchincloss wrote. Last year, the proposed 293-capacity beer garden became a flashpoint in the ongoing debate over the growth in large bars and the late night party scene in Federal Hill. 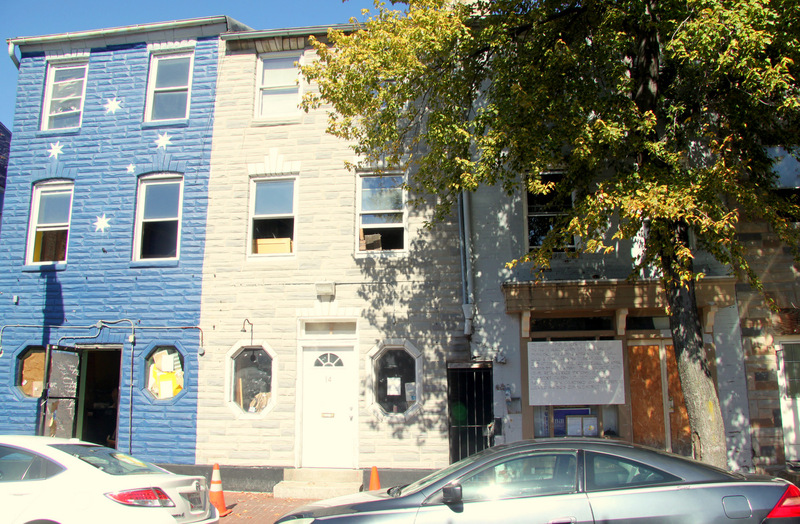 Many residents, led by the Federal Hill Neighborhood Association (FHNA), said the so-called mega-bars near Cross Street Market were over-saturating the nearby residential neighborhood with noisy, drunken, belligerent patrons. Many others defended the project, saying the area had always been a youth-oriented entertainment zone and called critics obstructionist. In June, the critics prevailed. After a packed hearing, the Liquor Board denied their application to expand across the four adjacent properties. Principals in the project, including Ryleigh’s Oyster owner Brian McComas, vowed to push forward. Representing them, Auchincloss, a former Baltimore Planning Commission chairman and the current chair of the Parking Authority, took the lead on reaching out to community associations. Auchincloss brokered a deal with a community group whose territory also includes the proposed Crossbar site, the South Baltimore Neighborhood Association (SBNA). The Memorandum of Understanding that Crossbar signed with SBNA includes several concessions, among them reducing the capacity from 293 to 155. The tavern also promised a 50-50 food-to-alcohol ration, higher noise barriers and earlier closing times. Members of FHNA, the only one of the five local neighborhood groups to continue to oppose the Crossbar, note that the project still has the same floor-plan and say they are skeptical the 155 capacity limit will be enforced. The February 25th BMZA vote represented the last major hurdle before construction could begin on the project. Plans called for them to build a two-story addition at the back of the 12 East Cross Street structure and to raze 14-18 East Cross Street, while retaining the front wall, creating an open courtyard. At the hearing, residents complained about noise, parking and fire safety. They concluded afterwards that the board’s denial pertained to not just the open air seating but also denied them the variances they sought on parking and setback requirements. Shown the emails by The Brew and asked about the fact that Tanner was being asked to shave those two elements off the decision, Diana Sugg, co-chair of the FHNA’s liquor and entertainment advisory committee, said it surprised her. Tanner, meanwhile, bristled over the implication of the emails, that the bar’s agents presumed they could influence him. “The Board makes decisions, I make decisions according to the law. The idea that [Auchincloss and Woolman] are trying to ‘give Tanner cover’ is ridiculous,” Tanner said during an interview at his office yesterday. Tanner said his office is still working on the decision (a staffer had the file spread out on her desk when The Brew stopped by) and that it may be published this week. Parthemos remembered it differently, telling The Brew at one point that she only emailed Tanner to ask when the decision was going to be completed and published. She provided a copy of an email that was not in the file and which appears to have been sent by her to Auchincloss, Woolman and Cole at 1:30 p.m. on February 26. Asked if Cole spoke with him about Crossbar, Tanner said he did hear from the councilman on the subject at a retirement party. In an email to The Brew, Cole acknowledged that Auchincloss was a personal friend and political supporter and elaborated on his conversation with Tanner. “I did speak with Mr. Tanner at a retirement party for a mutual friend who was leaving city government a day or two after the BMZA hearing. I did ask him if the Board had voted on all three issues and inquired how they could decide on a three issue matter with a single vote.